Mash avocado in a bowl with a fork. Add garlic and salt (and lime juice, if using). Mix well and enjoy! Serves 1-2 people as a dip (or more if just using as a condiment). This makes a great snack served with raw bell pepper slices …or chips, of course, if that’s more your thing! It’s super tasty on burgers or grilled chicken sandwiches, too! 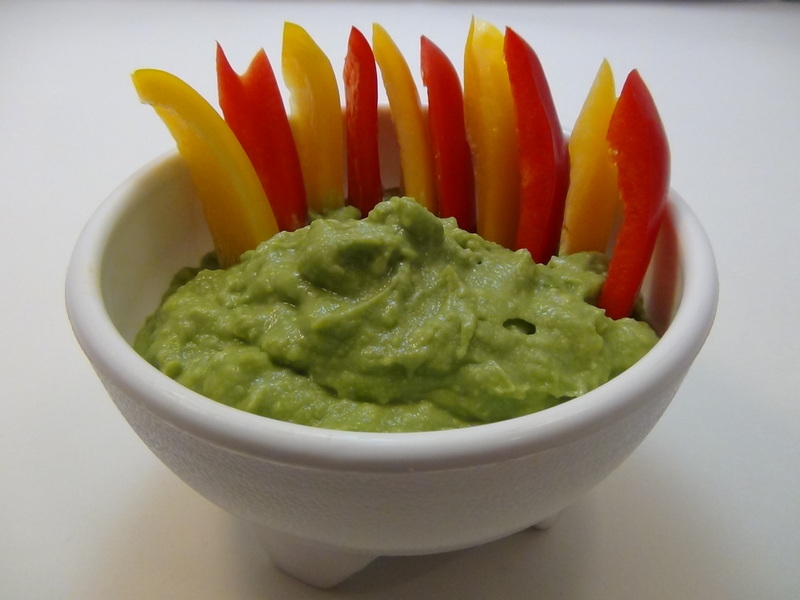 This entry was posted in Recipes and tagged avocado, chips, fats, good, guacamole, juice, lime, natural, raw, recipe, snack. Bookmark the permalink. I add diced white onion and minced fresh, dried or powdered mild to medium hot peppers!